It’s time to dispel the urban myth about not enough time to see the natural and manmade splendor of the Western United States. Investing a day of your vacation to Arizona, Utah, and/or Nevada gives enough time to experience Glen Canyon Dam near Paige, Arizona. Dams are designed and built specifically for the terrain, soil and amount of water they’ll experience. Hoover Dam, the largest concrete-arch dam in the US, is a popular tourist site near Las Vegas. The structure is anchored in solid volcano-baked basalt. Water from the dam is sent to Hoover Dam and Lake Mead. 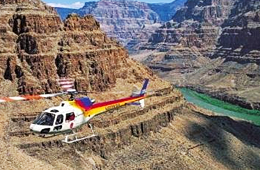 Grand Canyon wildlife and fish benefit from a safer environment thanks to water conservation efforts around the area of hardened sand dunes. The dam holds back up to Lake Powell’s maximum 26,215,000 acre-feet of water. It’s no surprise to hear that water activities head the list of things to do at this 200-mile long manmade lake and its near 2,000-mile shoreline. 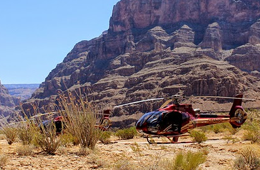 You might decide to book a helicopter tour to fly over some of the grandeur of this part of Glen Canyon National Recreation Area, southern Utah’s Orange Cliffs, or Lee’s Ferry in Arizona. A bus tour to Glen Canyon Dam might include a kayaking or paddle board event over the sparkling greenish blue waters. A tour guide provides answers to questions and points out favorite views so you and your friends don’t miss any of the “must-sees”. 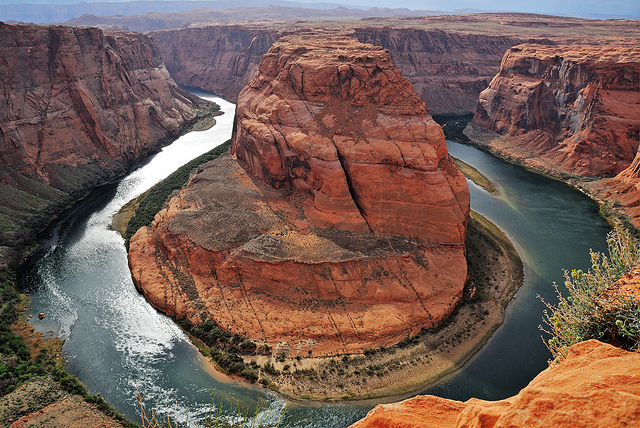 Horseshoe Bend, about five miles from Glen Canyon Dam, is known for its remarkable unfenced Overlook. 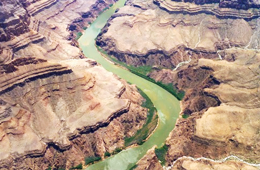 It’s a short, easy hike along the wide path from the parking lot off the highway to the cliff and its view of the bend and Colorado River more than 1100 feet below. The trail consists of sand and sandstone, making it essential to keep away from edges of the cliff. Don’t be surprised to see so many tour buses in the lot! Quite a few people have learned how convenient it is to travel in groups with a knowledgeable guide and experienced operator. Over a million annual visitors can’t be wrong! The Carl Hayden Visitor Center is just 110 feet above the dam’s crest on its west side. The history behind today’s panoramic view of Lake Powell and the Glen Canyon Dam is displayed through exhibits and photos. Browse the books, gifts, and memorabilia at the gift shop. Enjoy one of the tours showing the dam’s history and how it works to conserve water and deliver it to the desert’s human, flora, and fauna residents. It’s an experience to cherish.